Happy Wednesday! Issue 1 contributor Jon Pineda‘s contribution to our Pocket Broadsides project is now on Tumblr. Please help us spread the word by following the project and re-blogging if you have a Tumblr of your own, or by re-linking on Facebook, Twitter, or your own blog! Last week, while reconnecting over pizza with someone with whom I’d gone to high school, I found myself suddenly enmeshed in a debate about the utility of teaching poetry in the classroom. We had been talking about what we hope to do with our careers in the future, and my friend, who was blissfully unaware of what he was getting himself into at the time—began to ask me about my writing. Why had I decided that I like it so much? What made me so sure that I want to center my life around it? Why do I want to teach poetry someday? I began to explain to him how much the idea of building opportunities for people to encounter poetry on an everyday basis—in the bus terminal, on the subway, in a store window, on the radio, in their Facebook newsfeed, tucked away between the salt and pepper shakers on a cafeteria table, or of course, in the classroom (whether Composition or Creative Writing)—excites me. Ideas about ways to get people to “bump into” and experience more poetry literally keep me up at night. They make me fidget in meetings and cause me to take too long in the shower. They make me zone out during sermons in church and distract me while I’m grading. I shake when I talk about them. Well, in that case, why should we teach Mark Twain (parts of which are written in dialect)? Or Shakespeare (with its slippery Elizabethan speech)? Or even Arthur Miller or Tennessee Williams (both of whom wrote for the stage), for that matter? If the place of the English classroom is only to provide “practical” models for student writing, then the idea of teaching literature at all becomes questionable. And yet, most people would agree that including literature in the high school classroom is important. Literature provides a compass for us, a “window” (as one of my own high school English teachers used to say) by which we can practice empathy and imagination. It is a beacon, a stepping stone, a map, a boat, an interview, a mask, a portrait, a question, a shovel, a vision, a road, a challenge to ourselves as human beings. Young people need literature—because literature gives us words and paradigms by which to conceive of ourselves and of others; because literature helps us to grow. So why teach poetry? Because poetry is literature—and poetry is necessary. From June 15th-19th, two Lantern Review staff members (Editor Iris A. 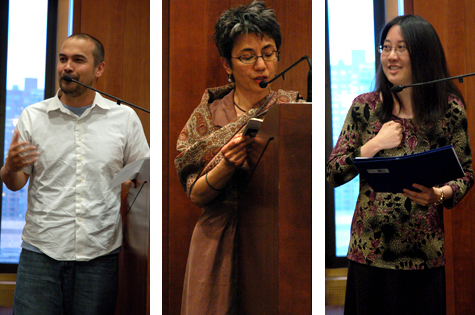 Law and Staff Writer Henry W. Leung) attended the 2011 Kundiman Poetry Retreat at Fordham University in New York City. What follows are our reflections on our experiences there. A few weeks ago, I stepped out of a D train in the Bronx and trundled my suitcase up the hill toward my very first Kundiman Retreat. Fordham Road greeted me with its jumble and racket: taxis honked their way down the street; motorcycles revved; teenagers laughed over the tinkling of a Mr. Softee van; shop owners shouted from behind racks of merchandise that spilled colorfully onto the sidewalk; a child descended uneasily from a bus and promptly vomited on the pavement. It felt strange to enter the gated, manicured space of the Rose Hill campus—ostrich-like; irresponsible, almost. But once swaddled into this beautifully (even eerily) verdant setting, it was also difficult not to feel that this was a space that in some way enacted the purpose of Kundiman: a place in which the creative soul could clear space within itself so that new patches of greenness could be sown and take root—not in isolation from the world, but in juxtaposition with, and in the context of, the world. I was reminded of something that I’d read in an interview Sarah Gambito gave to The Fordham Observer. In order to write in New York, she remarks, she tries “to be as still as [she] can in the city.” Indeed, to be a writer is to live in a position of simultaneous privilege and responsibility. As participants in social communities, we hold a responsibility to live fully in the world, so that we can write into, for, and from those communities. But at the same time, the work of the writer cannot be completed without the ability to occasionally take a step back: to be a still, small, open receptacle to the world, but a simultaneous processor of that world. And the lens with which we process—with which we must enact our craft—requires, from time to time, the ability to allow ourselves space to wrestle with the work itself, and with the world surrounding the work. This May, in celebration of APIA Heritage Month, we have asked several respected teachers and writers of Asian American poetry to share favorite writing exercises with us. This week’s installment was contributed by Jon Pineda. Once, for training purposes at my job, I had to practice setting up an extension ladder mid-span, into that near empty space between telephone poles. This space is usually connected by a cable lashed to a thin, metal strand. At the top of the extension ladder are swiveled hooks for resting on the strand itself, so that there will at least be some resistance when it comes time to ascend the rungs, and then—once at the top, roughly twenty feet up—to attach the leather harness belt. Then you simply lean back. Ahead, there is nothing but the sky in front of you. Though in that particular moment, suspended high above the ground, I was, of course, thinking about my physical safety, I couldn’t help thinking about other things as well. That sky in front of me, for one. It felt as though I could have fallen easily into that space. Later, as I was working on a poem, I found myself thinking a lot about the caesura: the pause that usually occurs within a line of a poem. I have always been interested in how this visual and aural delay aids in securing and distancing sections of imagery, so that the presence of a caesura is immediately felt by the absence it evokes. Consider the first section from Ellen Bryant Voigt’s poem “Practice”: “To weep unbidden, to wake / at night in order to weep, to wait / for the whisker on the face of the clock / to twitch again, moving / the dumb day forward— // is this merely practice?” Voigt begins with a list of infinitives, each separated by a comma. The reader is carried along by the undulant churning of each subsequent infinitive pushing into the next. Then, the arrival of the dash halts the momentum just prior to the speaker’s question, “is this merely practice?” The caesuras become a place that simultaneously allow the reader to rest within the pause and yet momentarily resist the unfolding tension of the poem. I am grateful to Eileen Tabios for her contribution in resurrecting the work of the Filipino poet José Garcia Villa. In The Anchored Angel, a book thoughtfully edited by Tabios, I first encountered Villa’s elaborate use of the comma, and I remember feeling confused and yet oddly at ease by this rush of punctuation. In my mind, I kept hitting against the commas, until the words that preceded them became buffers for the next. At that point, I settled into each word, pausing before and after: “The, red-thighed, distancer, swift, saint, / Who, made, the, flower, principle, / The, sun, the, hermit’s, seizures, / And, all, the, saults, zigzags . . .” (from Villa’s poem “The Anchored Angel”). In both examples I feel a presence at work. Each point of pause tests the strength of the line. It lets me, the reader, live in the suspension for just a little while longer. Prompt: Write a poem that prominently features a caesura (or a number of caesuras). Make the absence essential. Jon Pineda is the author of the memoir Sleep in Me, a Barnes & Noble “Discover Great New Writers” selection and a Library Journal “Best Books of 2010” selection. His poetry collections include The Translator’s Diary, winner of the Green Rose Prize, and Birthmark, selected by Ralph Burns as winner of the Crab Orchard Award Series in Poetry Open Competition. 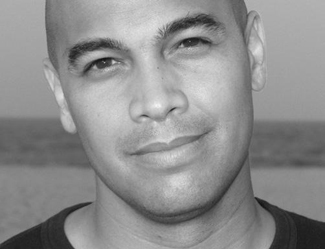 He teaches in the low-residency MFA program at Queens University of Charlotte, and this summer, he will join the faculty for the Kundiman Asian American Poets Retreat held at Fordham University. His poem “[we left the camera]” appeared in Issue 1 of Lantern Review. Welcome to our new Summer Reads blog series! We recently asked our contributors from Issue 1 to share with us what they are reading / what’s on their reading lists this summer, and we’ll be featuring their responses here throughout the months of June and July. This first installment features reads from Jon Pineda & Barbara Jane Reyes. 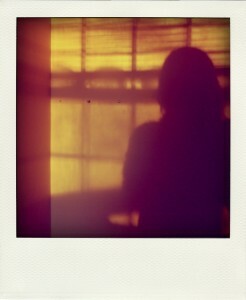 Check out Jon’s poem, “[we left the camera]” and Barbara ‘s pieces, “13. Black Jesus” and “10. For Al Robles” in Lantern Review, Issue 1. For more information on the poets themselves, visit them online at jonpineda.com and barbarajanereyes.com, respectively.